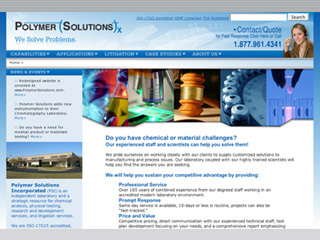 A service-based web site design multi-navigational web site for a Chemical Testing Laboratory in Blacksburg, VA. SEO optimized website was using on-page and off-page techniques by Soupbone Creative, LLC. Click the web sample or here to view their web site. >> Click a side arrow to continue tour.